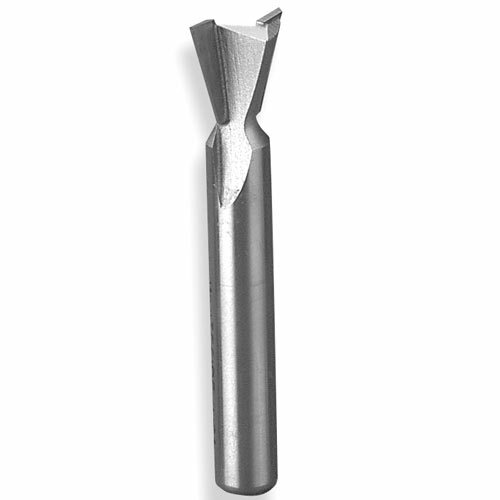 Dovetail Bits & Sets - Whiteside #D14-51-X8 Leigh #120 Dovetail Bit - 8mm SH X 1/2 LD X 14 Deg. Whiteside #D14-51-X8 Leigh #120 Dovetail Bit - 8mm SH X 1/2" LD X 14 Deg. Leigh Dovetail Jig users will be thrilled with these top quality router bits from Whiteside. Carbide Tipped. 2 flute. Whiteside Machine Company - Claremont, North Carolina. SH = Shank Size. LD = Large Diameter. DEG = Bit Angle. CL = Cutting Length. OAL = Overall Length.